Jim specializes in retirement and estate planning and believes in building long-term, personal relationships with First Gunn Financial Group’s clients. 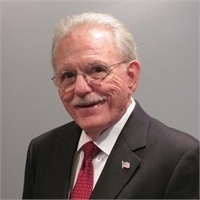 A former professor of accounting at the University of Arkansas and Oklahoma State University, he left academia in 1970 to become an investment advisor representative, focusing on life insurance and estate planning. In 1995, Jim became a dedicated investment advisor representative and joined LPL Financial. Jim earned a Bachelor of Science degree in Accounting, a Master of Business Administration and a Ph.D. in Business Administration, all from the University of Arkansas. After receiving his doctorate, he added CPA to his list of qualifications. He is a lifetime qualifier of the Million Dollar Round Table, an international organization of life insurance and financial services professionals with exceptional industry knowledge, excellent client service, and a strict code of ethics. Jim doesn’t recommend an investment strategy that he hasn’t vetted himself. Jim lives in Stillwater with his wife and is the proud father of two daughters and the grandfather of five. Aside from travel, skiing and fishing, Jim is, above all, a fan of Oklahoma State University football and basketball. You might also see him in the bleachers at NCAA Final Four basketball tournaments. An active member of the community, Jim has served as president of the local Exchange Club; and as a corporate board member of a local bank, home health services provider, and a vending and food service company. He also has over 50 years of membership and service in Presbyterian Church.